As Arizona students begin to take AzMERIT for the first time, teachers and administrators describe how they’ve prepared for the new assessment and parents and students voice their concerns. Beginning this week, students throughout Arizona will take AzMERIT (Arizona’s Measurement of Educational Readiness to Inform Teaching), which measures their mastery of Arizona’s College and Career Ready Standards in math and English/Language Arts. 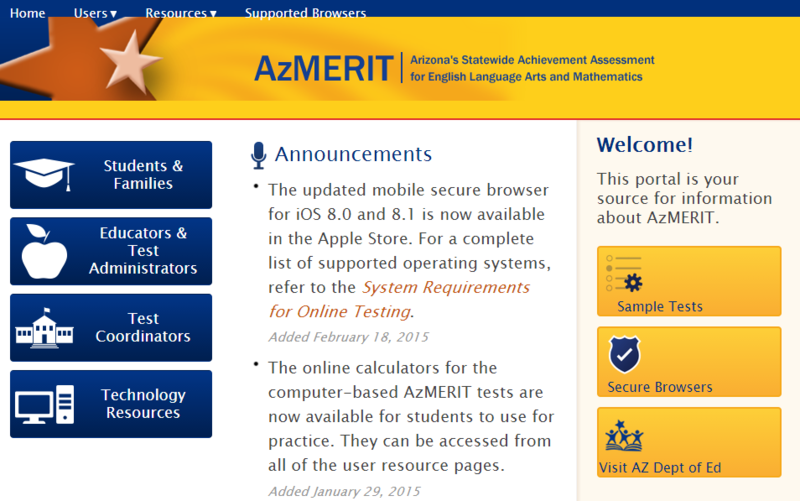 AzMERIT replaces AIMS (Arizona’s Instrument to Measure Standards), which measured students’ proficiency with the previous standards through 10th grade. Students in fourth- and eighth-grades and high school will continue to take the AIMS Science test until a new assessment is developed. In response to requests from the education community to give students, teachers and schools time to adapt to the new test, Gov. Doug Ducey recently signed a bill that will delay application of the test results to school and district letter grades, students’ grades and teacher evaluations for this year. In December, the Arizona State Board of Education decided to suspend school A-F letter grades for a year as schools get used to the new test. School letter grades are partially based on students’ scores on a statewide assessment. Preparing for a new test can be a difficult, especially with a limited amount of time to expose students to the new format and potential questions. Student practice tests were released to the public on February 20 and can be found on AzMERIT’s information portal where other resources for students, parents and educators are located. Stanfield Elementary students have been doing daily review questions on high-priority skills, said Pamela Houston, a third-grade teacher at the school in Pinal County. Some teachers at Mingus Union High School in Yavapai County said students have been doing practice tests to become more familiar with content and format. Others say they’ve kept students focused on learning the content through rigorous lessons. All teachers at the Cottonwood school agree that preparing for the assessment goes beyond practice tests. 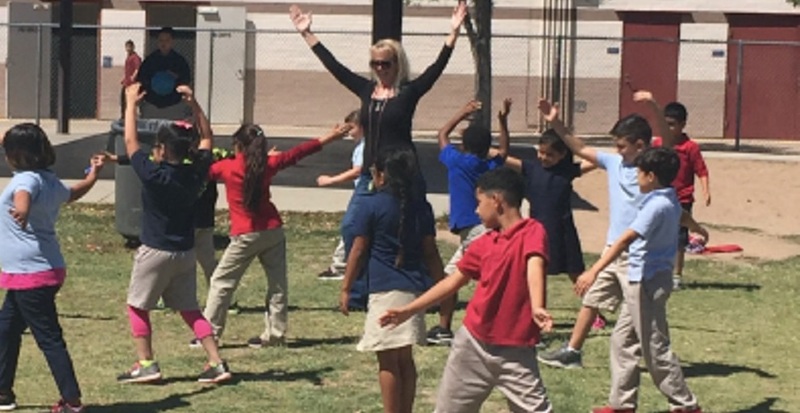 At Higley Unified’s Power Ranch Elementary School, faculty concentrate on teaching to the new standards, which has helped prepare students for AzMERIT, said Sherry Richards, principal. Despite school’s preparation for the new assessment, some parents, students and teachers still have concerns. Some students from Mingus said that they are taking practice tests, while others still are unsure of what to expect on the exam. 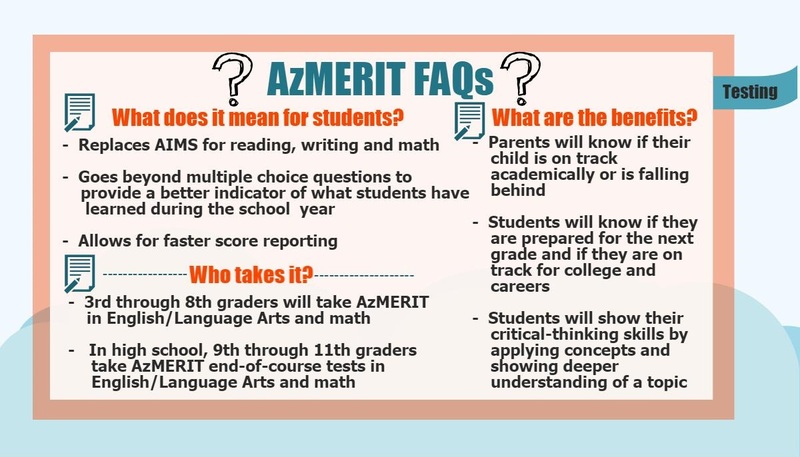 Because AzMERIT is currently not a graduation requirement for high school students like AIMS was, some teachers are concerned that students might not take the test seriously. Another Mingus student expressed concern over spending class time taking a test that might not show any benefits for students preparing for college. “We need our time for learning and preparing for finals, not a test that doesn’t help our grade, GPA or getting into college,” the student said. 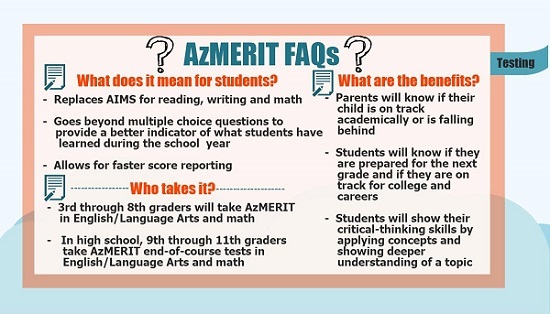 Instead of requiring students to pass AzMERIT to graduate, students in freshman through junior English/Language Arts classes and Algebra I, Geometry and Algebra II will take AzMERIT’s end-of-course tests. 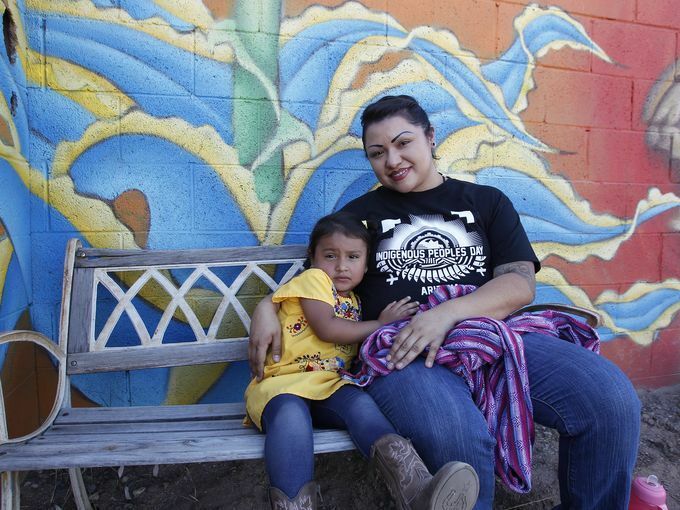 While education advocacy groups like Expect More Arizona have provided information about how to help children prepare to take the new assessment, some parents say they haven’t received much information about the test from their children’s schools. “Many of my concerns come from the simple lack of information and communication regarding the new test that I believe should be coming down from the state through the schools to the parents and children affected by the change in standardized testing,” said Jennifer Schroeder, a parent of two boys at Stanfield Elementary School. Schroeder said in previous years she helped her sons prep for AIMS with flashcards and sample tests, but this year she doesn’t plan on investing as much time because of the minimal amount of information she’s received. Teachers said they are waiting to see how closely AzMERIT is aligned with their curriculum and if it will measure what their students have learned so far this school year. 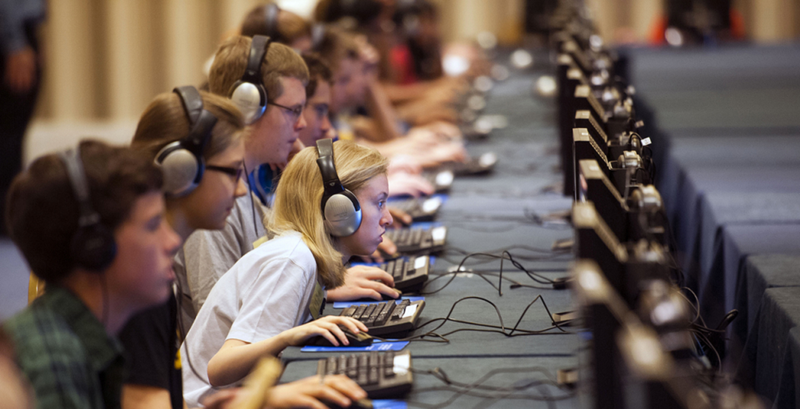 As a computer-based test, AzMERIT has the ability to provide engaging questions and measure critical thinking, according to the Arizona Department of Education. After the initial year of testing, schools should receive their AzMERIT results more quickly than they did with AIMS, which will let teachers to respond to students’ needs more quickly. 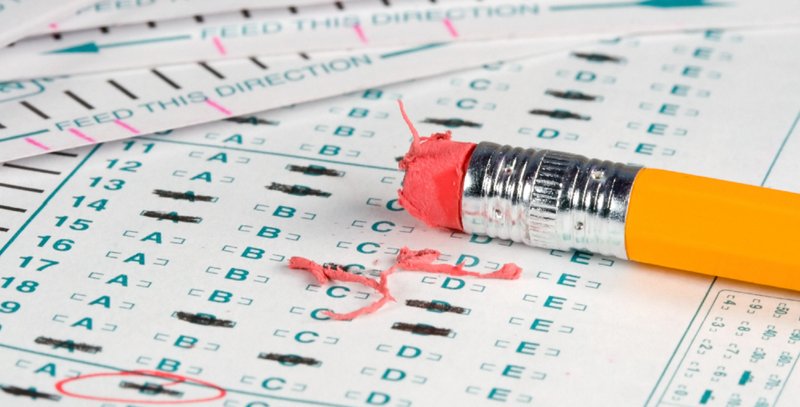 Administering a new test, especially one with a computer-based component, comes with uncertainties that require extra preparation by schools. Not all schools have the technological capabilities to efficiently conduct the assessments on computers district- or school-wide during the testing window, so for the first few years of testing, schools will have the option to use a paper-based version. Higley Unified, a Maricopa County district of about 11,000 students, will have students take the test on computers instead of on paper. Mingus High School will shift classes to unaccustomed block scheduling to provide students the time they need to take the test on the computer. That will impact all courses and lead to a loss of instructional time, Principal Jennifer Chilton said. The late-start method for structuring AIMS testing doesn’t work for computer-based testing, because “we do not have the number of devices that would be required for simultaneous administration of the test (to all students),” she said. If the recent capital override had been approved, the school’s ability to administer an assessment electronically would not be as much of a concern, a Mingus teacher said.